Courtesy of Erdene Resource Development. Despite poor first quarter results, Vancouver-based Teck Resources Ltd. (TSX:TCK.A, TCK.B), (NYSE:TCK), one of Canada's largest miners, is increasing its investment in Halifax-based Erdene Resource Development (TSX:ERD), which will use the funds to explore for copper in Mongolia under a strategic alliance announced last year. 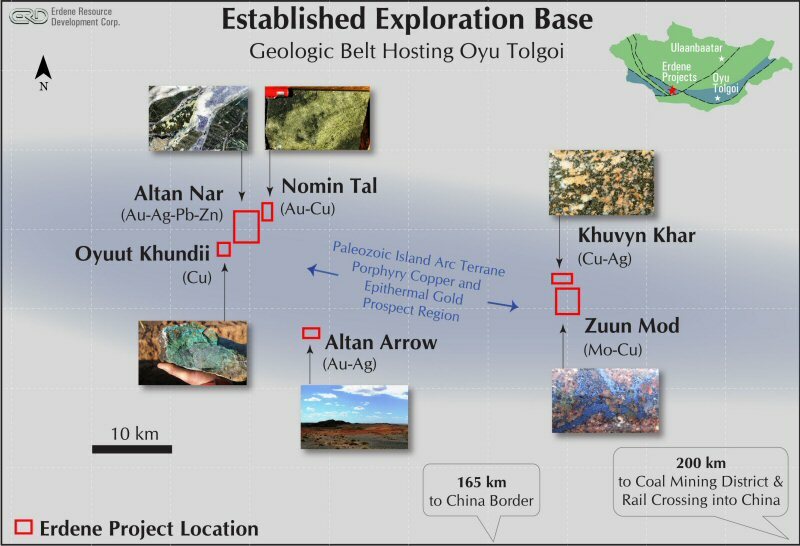 Teck, which currently controls about 14% of Erdene's common shares, aims to boost exploration on the Halifax miner's wholly owned Altan Nar gold-polymetallic project, located in southwest Mongolia, 200 kilometres from the border with China. Erdene announced Monday it will restart drilling in the next few days and that field crews are already on site. Detailed surface work is underway, including higher density geochemical sampling, mapping, and an expanded induced polarization survey. According to the company, this work will provide a greater understanding of the extent of the multiple mineralized structures identified to date and provide a stronger base for designing a more extensive follow-up resource delineation drill program.